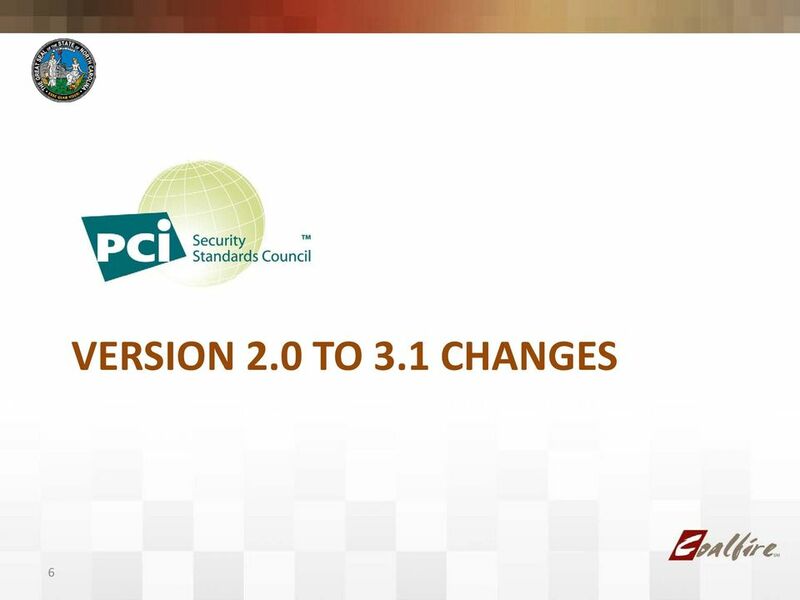 Download "PCI 3.1 Changes. 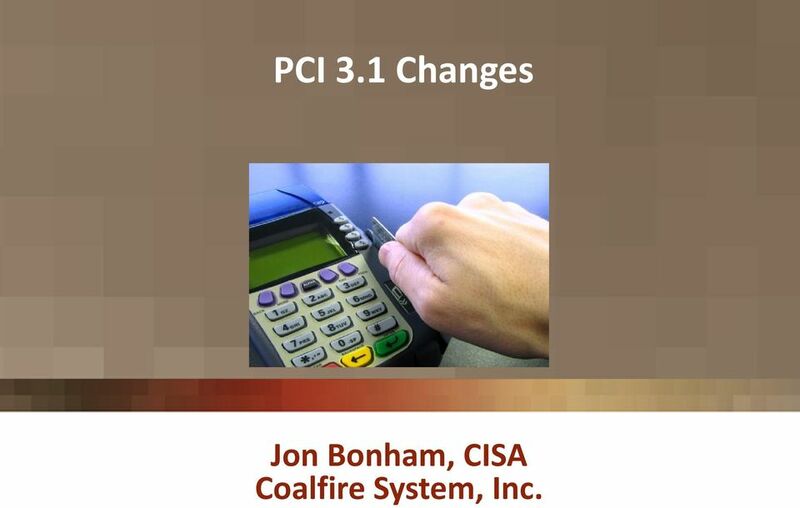 Jon Bonham, CISA Coalfire System, Inc."
1 PCI 3.1 Changes Jon Bonham, CISA Coalfire System, Inc.
4 4 What you signed up for. 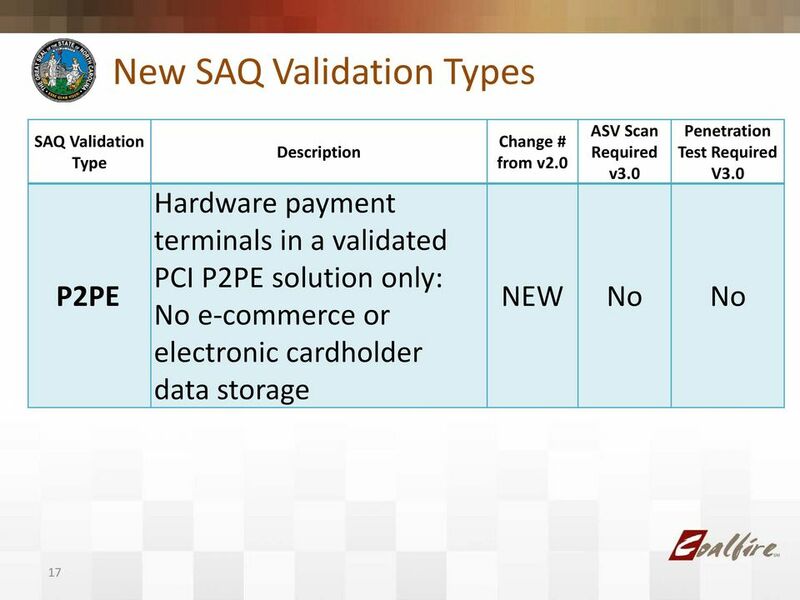 21 PCI DSS 3.1 Critical Changes to Penetration Testing Expanded Penetration Testing Expectations The penetration testing requirements are much more detailed and now require testing to validate segmentation technologies (best practice until July, 2015). 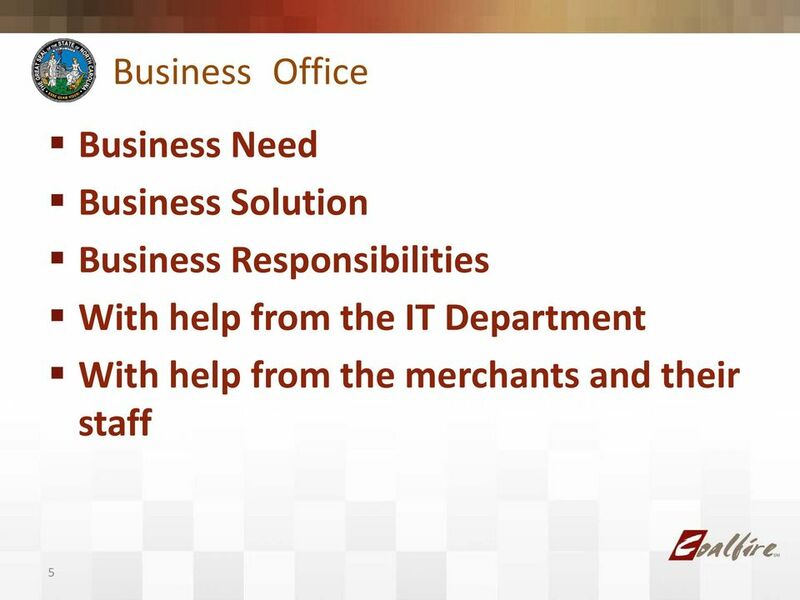 22 PCI DSS 3.1 Flexible Changes to Existing Requirements Requirement 6.6 Flexibility Added options to the interpretation of this requirement by changing web-application firewall to automated technical solution that detects and prevents web-based attacks. Password Complexity Flexibility Password complexity and strength requirements have been combined into a single requirement and the PCI SSC has now allowed for some flexibility in meeting these requirements. 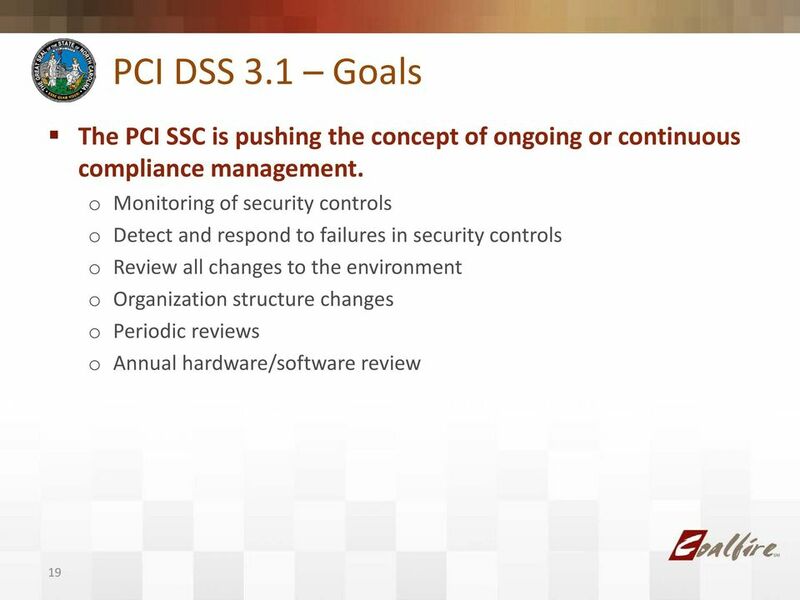 23 PCI DSS 3.1 Critical Changes to Logging Requirements New Logging Events Enhanced logging requirement to include stopping or pausing of the audit logs Log Reviews for Critical Daily or continuous log reviews have been split into two categories: Critical systems and everything else. New Logging Events Enhanced logging requirement to include stopping or pausing of the audit logs. Log Reviews for Critical Components Daily or continuous log reviews have been split into two categories: Critical systems and Everything else. 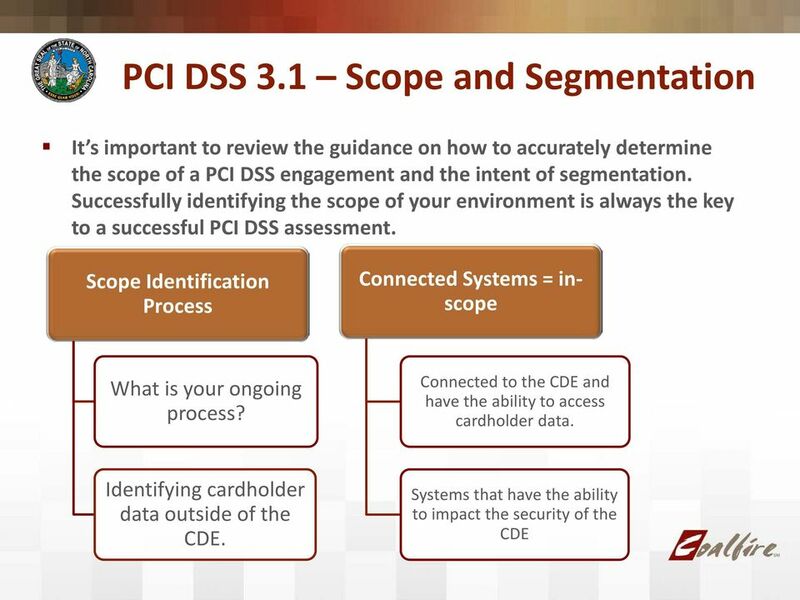 24 PCI DSS 3.1 Critical Changes to Developer Training 6.5.c Sensitive Data in Memory Organizations must now demonstrate how they train their developers to understand how sensitive data is handled in memory. 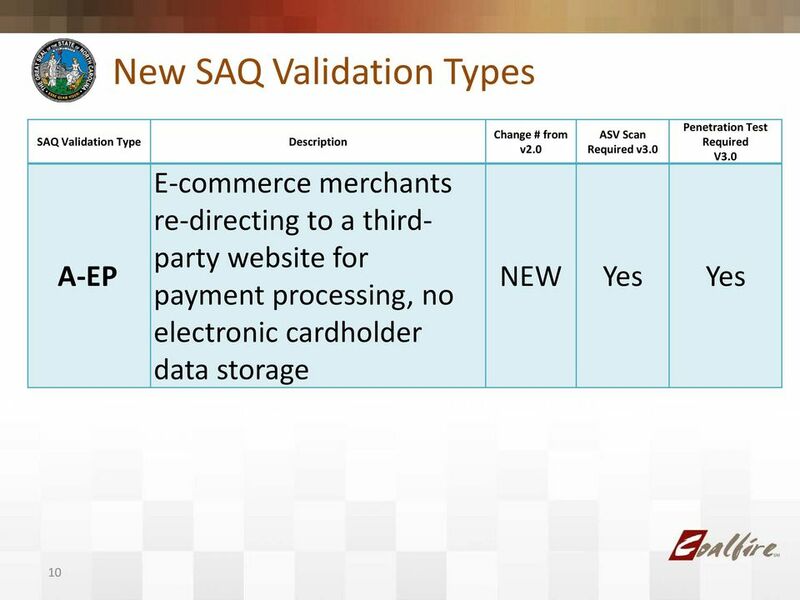 25 PCI DSS 3.1 New Requirements - Immediate impact Requirement Dataflow diagrams. Requirement 2.4 Inventory of all in-scope system components. 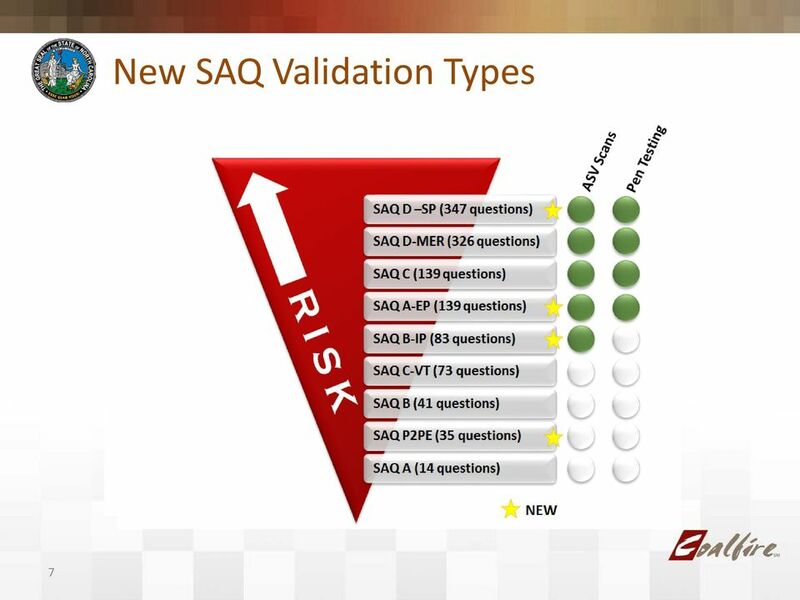 Requirement Risk-based malware review for systems not commonly affected by malicious software. 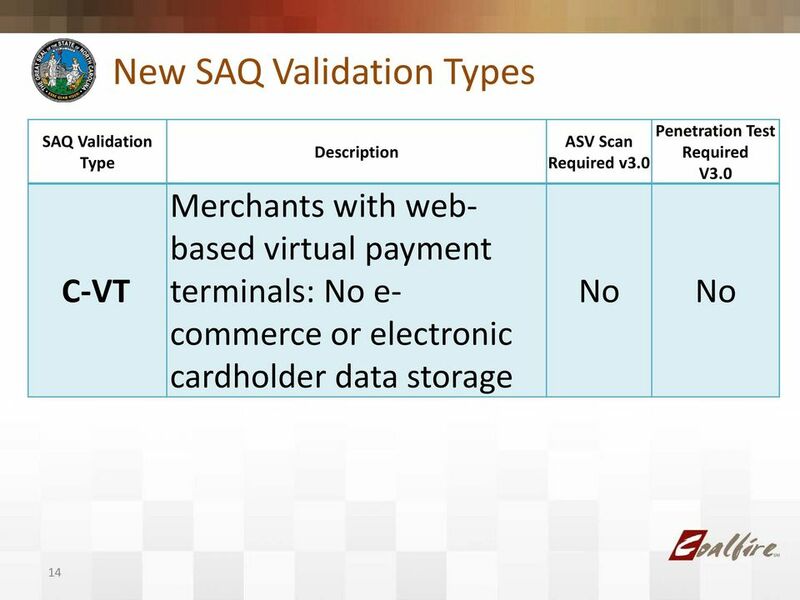 Requirement b Termination processes must include all physical authentication methods in addition to systems. 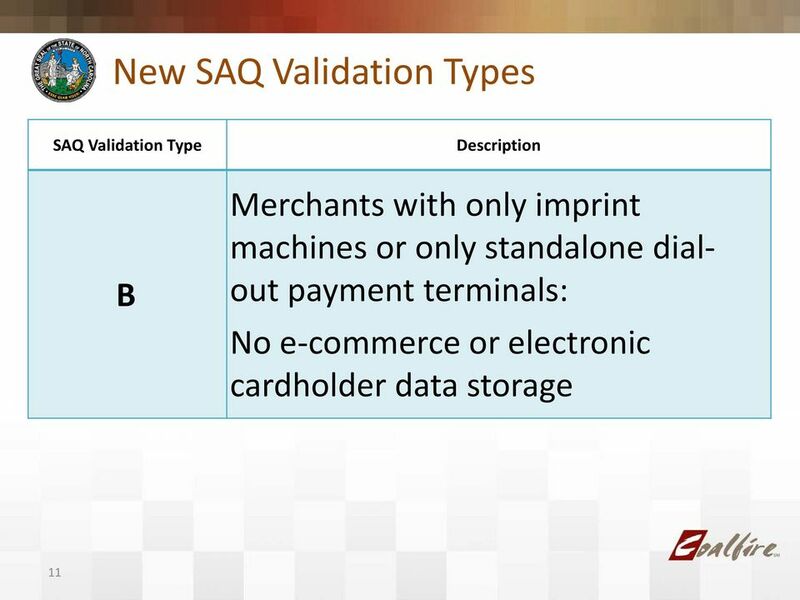 26 PCI DSS 3.1 New Requirements - Immediate impact Requirement 8.6.x New requirements and testing procedures around the use of physical Authentication Mechanisms assigned to individuals. Requirement 9.3 New requirement to control issuing physical access to sensitive areas for onsite personnel. 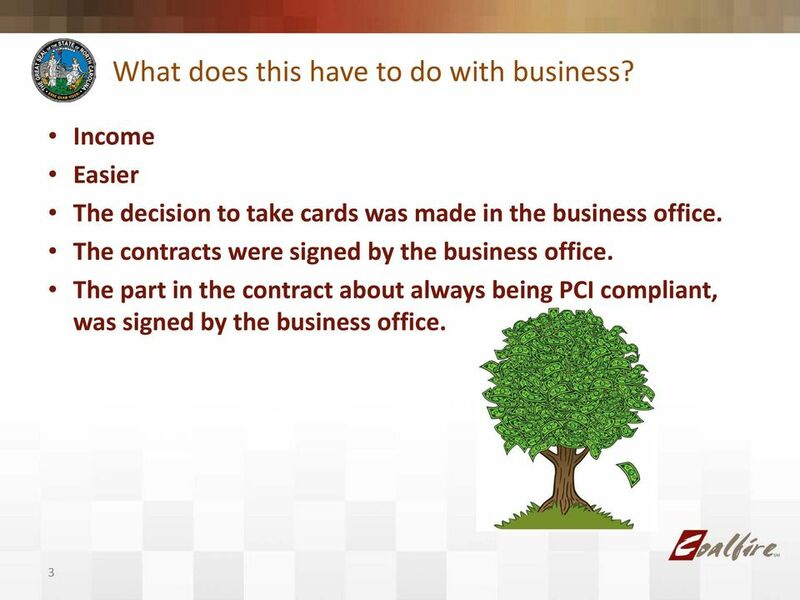 Requirement New requirement to maintain information about which PCI DSS requirements are managed by the service provider. 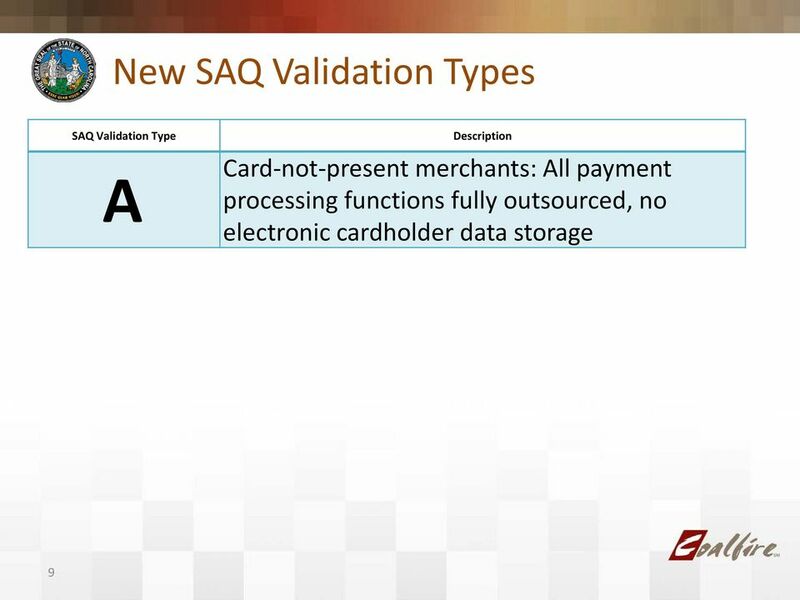 27 PCI DSS 3.1 Phased Requirements These requirements were considered best practices only until June 30, 2015 at which time they became mandatory for all 3.1 assessments. Requirement Broken authentication and session management. 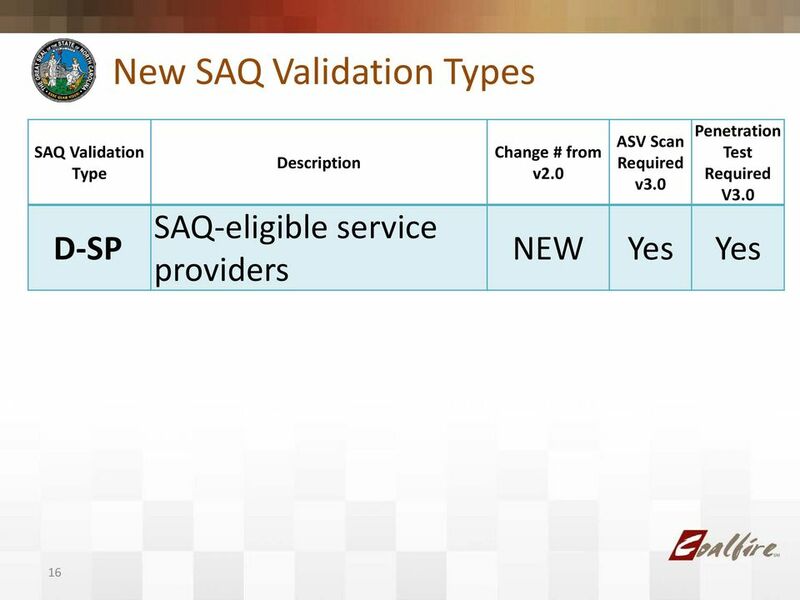 Requirement New requirement for service providers to use different authentication credentials for access into different customer environments. 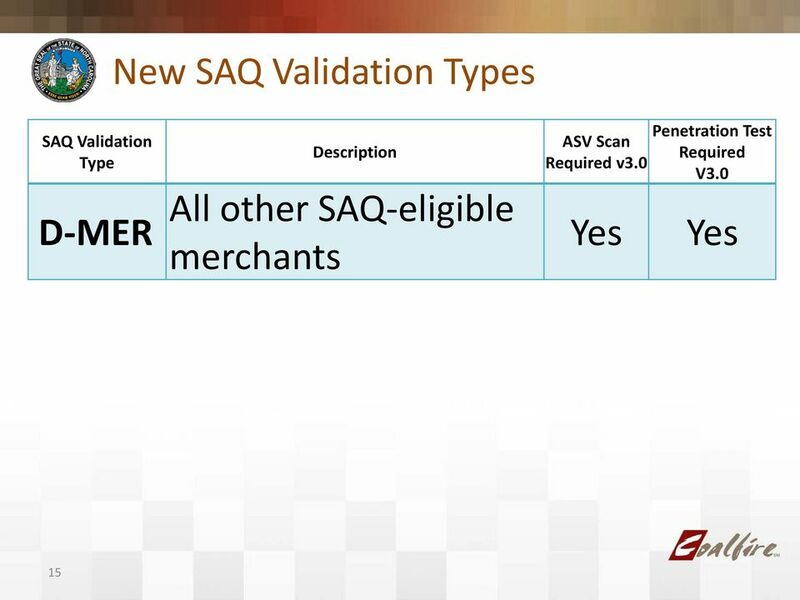 Requirement(s) 9.9.x New (merchant) requirements to protect point-of-sale devices that capture payment card data from tampering or unauthorized modification or substitution. 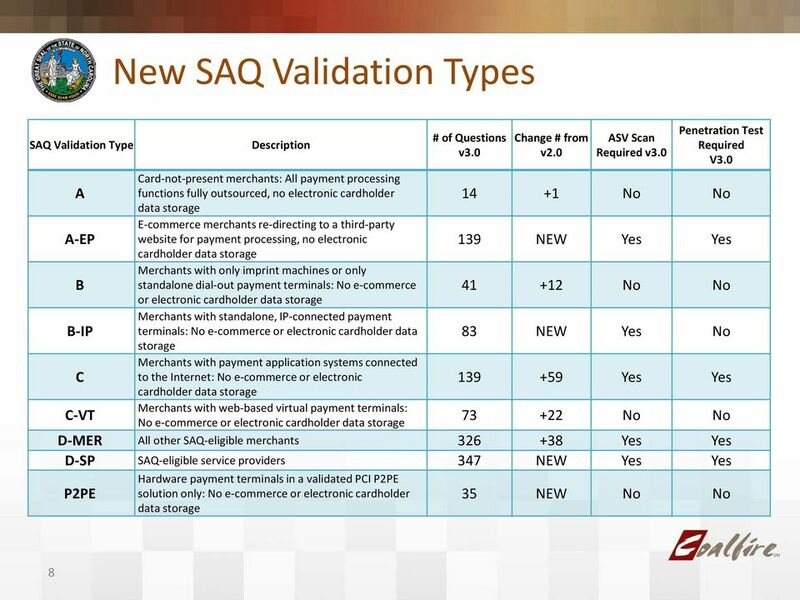 28 PCI DSS 3.1 More Phased Requirements Requirement 11.3.X Expanded requirements/expectations for penetration testing controls. 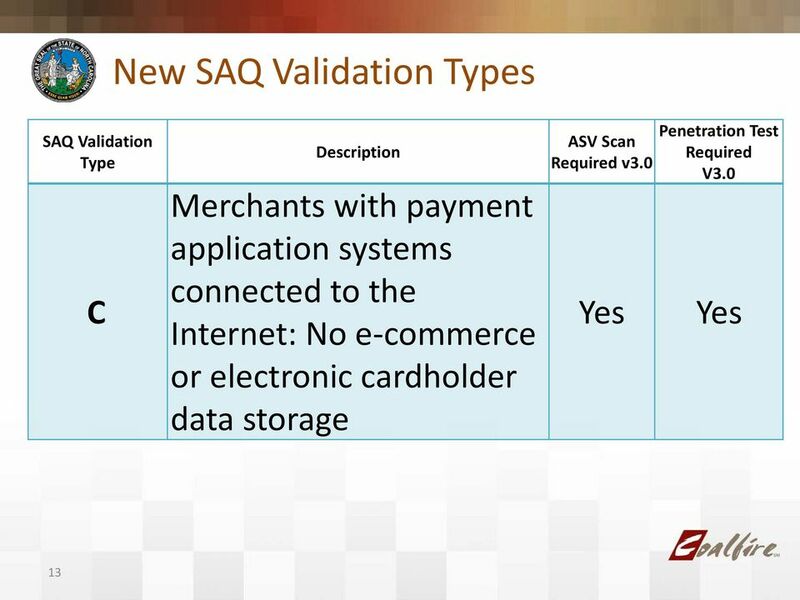 PCI DSS v2.0 requirements for penetration testing may be followed until July Requirement 12.9 Service providers acknowledge in writing to customers that they are responsible for the security of cardholder data. 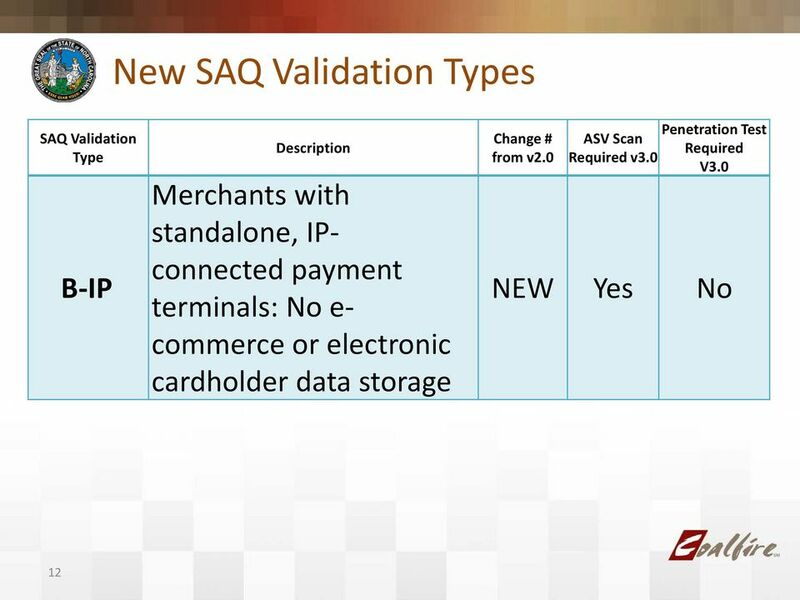 PCI DSS 3.0 and You Are You Ready? 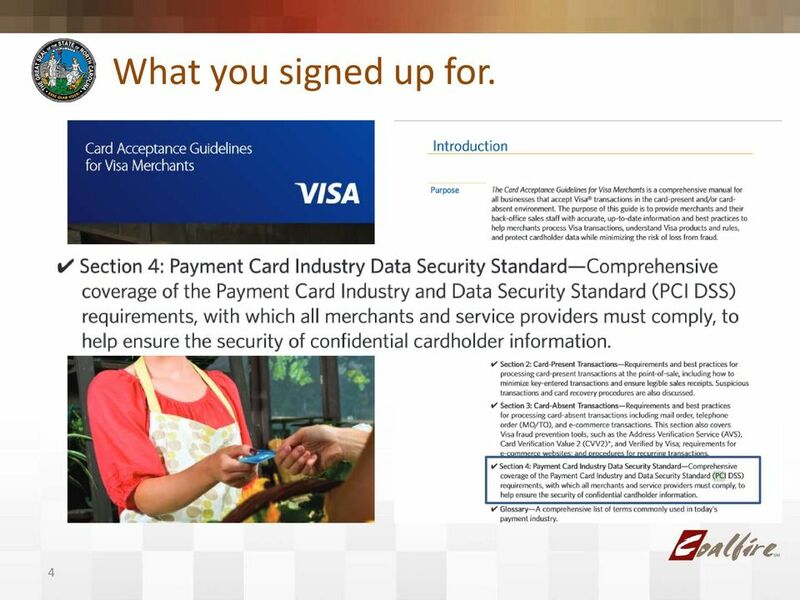 How Secure is Your Payment Card Data? UC Riverside PCI Update and Training October 29, 2014. 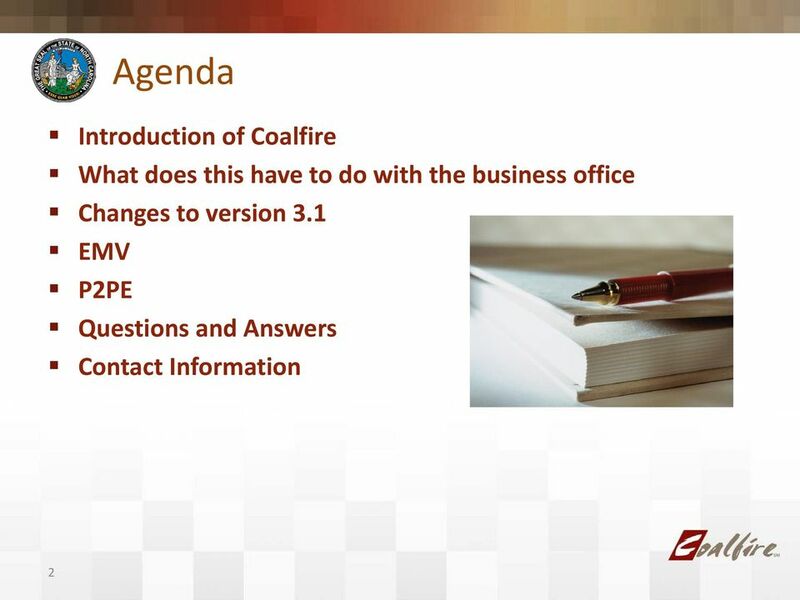 Rick Norman, QSA Christopher Dosta Coalfire Systems, Inc.